Help us to help other people just like you. 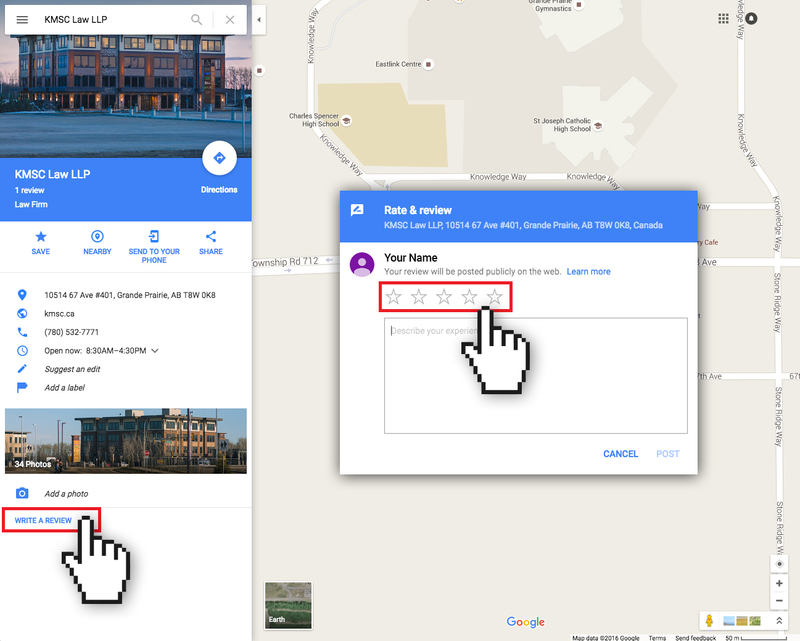 Please consider telling people about your experience with us on Google Maps. Below is a link to Google Maps. They will ask you for a ranking out of five. If you were pleased with our service please provide a ranking and feel free to let people know how you felt about our work for you. High rankings make it easier for people to find us online. If you have any questions please give us a call at 1-888-531-7771. It has been our privilege to represent you and we thank you for taking the time to help us help others. In the window that appears, click the stars to score our service. You can also describe your experience if you like. If you would like to create your Google Account using your existing e-mail address, please use this link instead. Complete the form as above. You will then be asked to create a Google+ profile. Uploading a picture is completely optional. 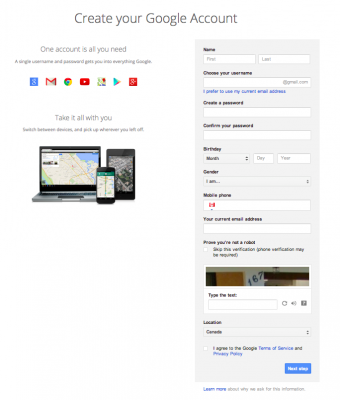 Click to finish creating your Google Account.